You know, I always thought it was a weird idea to have fine jewelry specifically for playing a sport. I mean, really? Thanks, Katie. 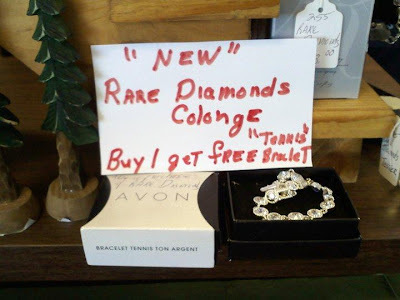 Apprently that "colonge" is a little fishy. Not only is it probably past it's prime but it isn't spelled correctly either.